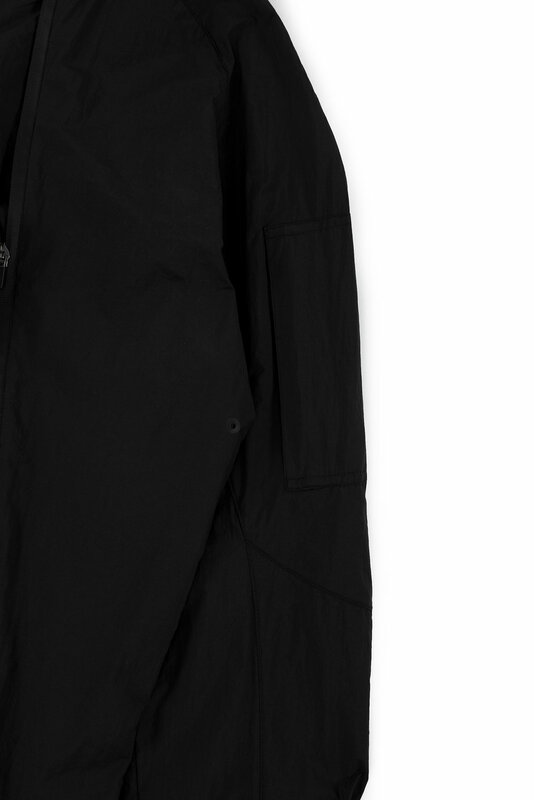 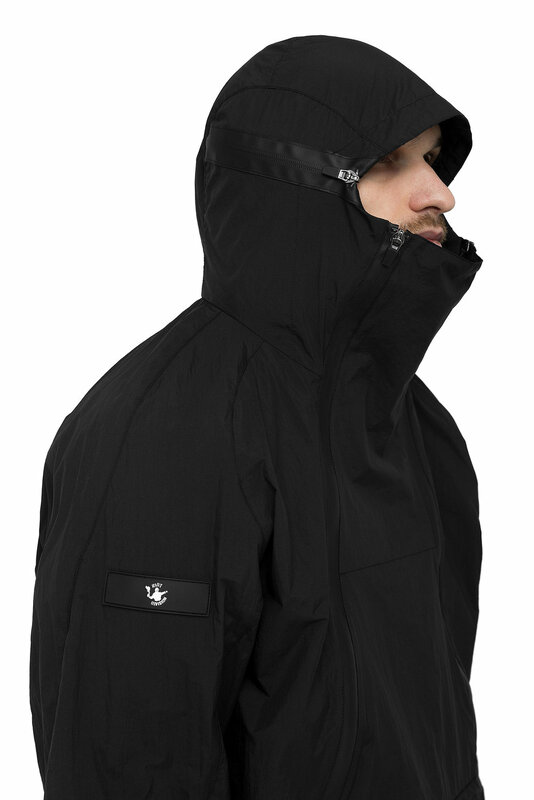 Lightweight DWR coated nylon anorak with 2 patched and 2 concealed pockets. 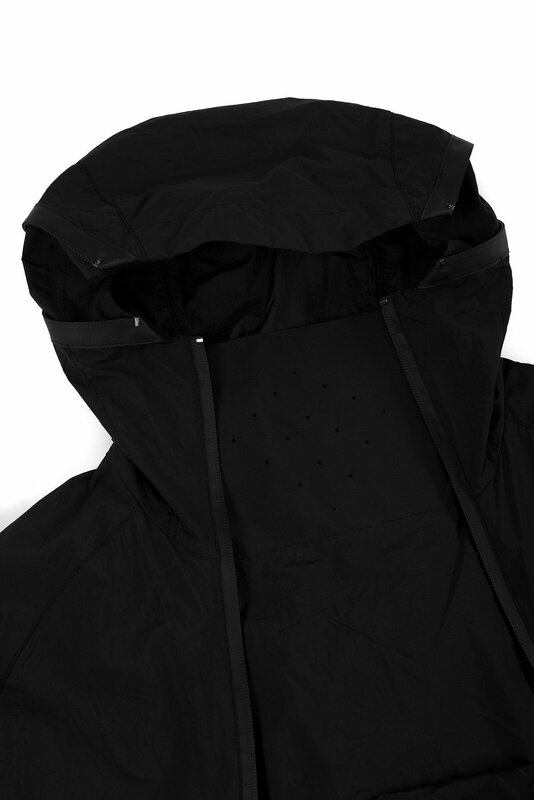 2 water resistant zippers fixate mask and access two hidden pockets. 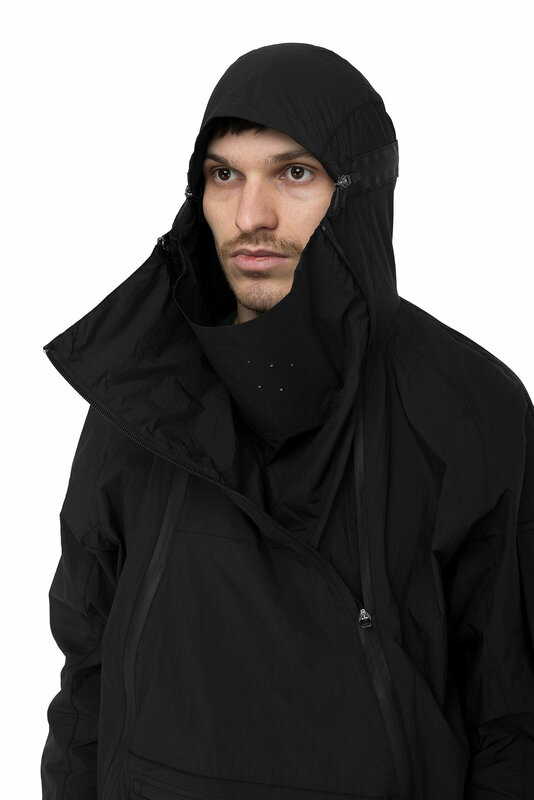 New hood fixation system creates a mask that will save your face from rain or wind. 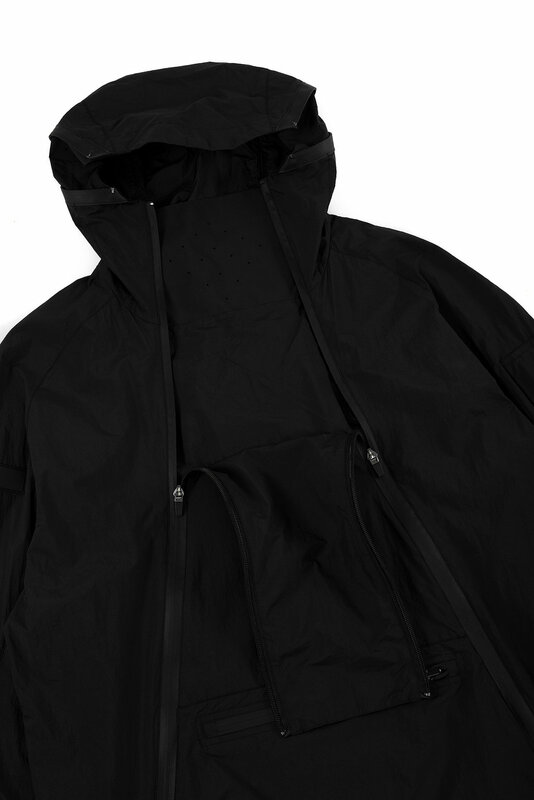 One additional kangaroo pocket in front for packing the whole jacket into a compact bag. 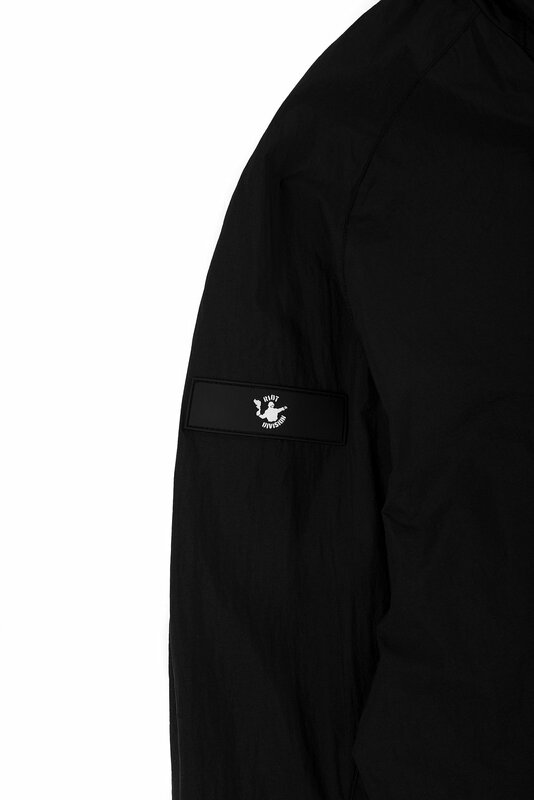 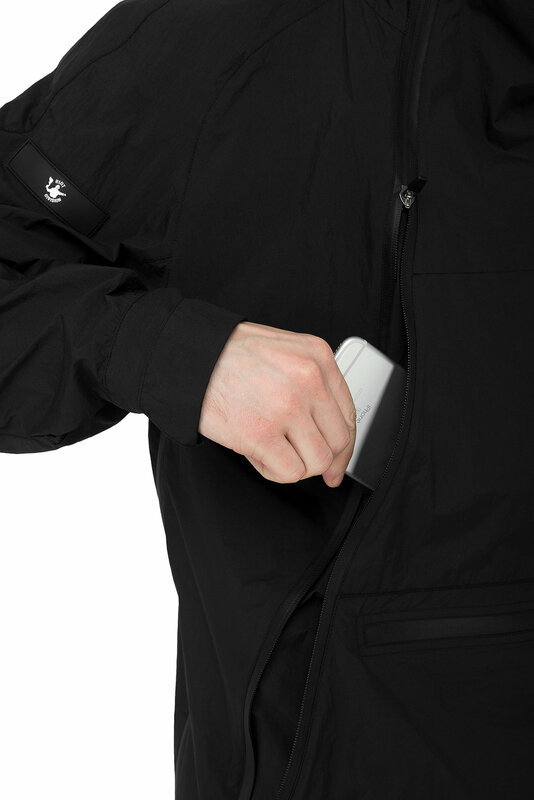 Anorak has sleeve pocket for small items, cuffs are fixed with buttons.